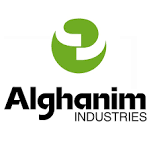 Alghanim is one of the largest private owned companies in Kuwait and in this region. The company was founded in 1932 in Kuwait. 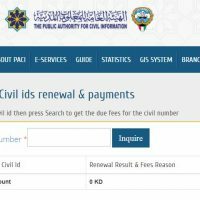 Head office is located at Al Hamra Tower, Kuwait City, Kuwait. Mr. Kutayba Alghanim is the Chairman of the group of companies and Omar K Alghanim is the CEO. The company has businesses in 40 countries Including Middle East, India, Turkey. The Multi-billion Dollar Multinational company has 30 businesses are dealing with 300 global brands and agencies. Total employees of group are more than 14000 persons. Safat Alghanim, X-cite by Alghanim Electronics, Bumper-to-Bumper, Rockwool (India) Ltd, Alghanim Freight, Impact & Echo, Cruzer, Kirby, Alamana, Yusuf Alghanim Automotives, Wansa, Kimmco, Alghanim Travel. Alghanim holds a Stake of Gulf Bank of Kuwait. Omar K Alghanim Chief Executive Officer. Samir M. Kasem, Chief Operating Officer. Robert Etman, Chief Support Services and Chief Financial Officer. Samer Sayegh, President – Retail, Food & Beverage and Distribution. Henning Schlutt, Chief Human Resources Officer. Impact & Echo is one of the top advertising agencies in Kuwait, it has more than 30 years of experience in the commercial market. Yusuf A. Alghanim & Sons Automotive is currently one of Kuwait’s largest auto dealers for General Motors’ leading brands: Chevrolet and Cadillac. more..
Best-in-class distributor representing world renowned FMCG brands across all trade channels in the market-place. For the past 5 decades, Alghanim Engineering has been working as a prominent company in Kuwait for its superior residential & commercial contracting services as well as its building maintenance business. Alghanim Industries offers the best-in-class insurance coverage and credit programs for our valued customers in Kuwait and Middle East. Costa, was voted the UK’s favorite coffee shop, is the United Kingdom’s largest coffee shop chain with over 1,968 coffee shops in the UK and more than 1,999 shops in 30 overseas markets. established in London by Italian brothers Sergio and Bruno Costa in 1971. With establishment in the GCC, Turkey, India 7 South East Asia, offering high-quality and cost-effective building solutions to the international building community. The Xerox Kuwait is the premier distributor of Xerox products in Kuwait & is committed to providing the highest quality products & services to its customers in this region..
Alghanim Retail is well-established presence in the Kuwait marketplace, Alghanim’s retail offerings and exceptional customer service continue to lead the industry. Talent Development company based in Kuwait, a full-service talent management provider offering clients solutions that will strengthen their leadership capability. ATLAS is the name for transport and logistics management in Kuwait and other countries in the Middle East. Alghanim Travel is well-established travel service company in Kuwait, specializing in business or corporate travel, holidays and leisure. Best Employers in the Middle East. Best Corporate Governance in Kuwait. Al Hamra Tower, 70th – 73rd floorBlock 8, Sharq.Kuwait City, Kuwait. Mailing Address: Alghanim IndustriesAl Hamra TowerP.O. Box 24172Safat, Kuwait 13102.